That pressure putt, the 18th hole, everybody is relying on you; family, friends and colleagues alike. Years of training all come down to this. You think back to the 12 year old you who looked forward to this moment, a moment that even then you knew it would define who you are, what you’ve achieved, what you’re made up of. You weren’t nervous then, why should you be nervous now? You’re a full grown man now, with responsibilities, obligations, goals. You have desire, integrity, passion, you can love. You’ve paid your dues, been through your hardships, now it’s time to stand up and be counted for. Sink that putt, like the true champion you are. OGIO International is an award-winning global leader design and manufacturing, recognized for its athlete-inspired technology, and we only deal with champions like you. 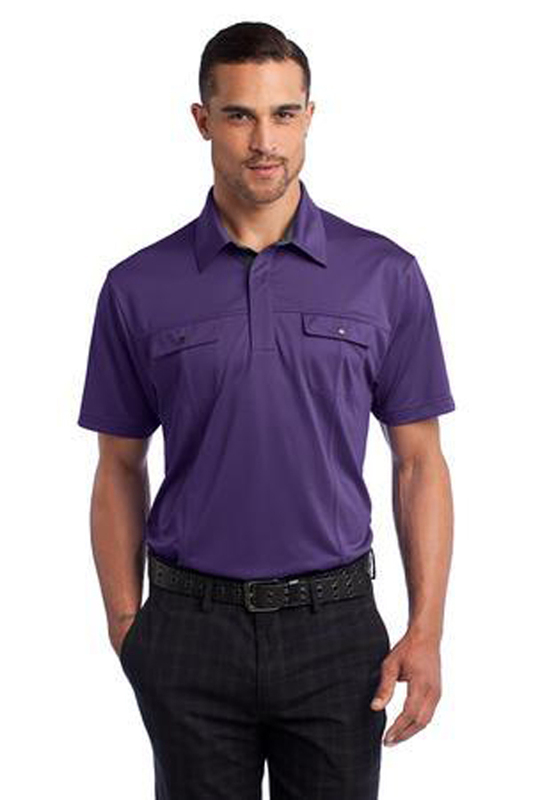 OGIO’s Axle Polo is best suited for men who are active. It is an ideal top to wear while partaking in any sport, whether it be golf, tennis or even motor sport. It is light in weight meaning it is comfortable even after getting hot and sweaty. A polo which is designed to last the truest of champions as he works hard to reach his every goal. The two pockets on the chest make this classic style really stylish and also practical, the pockets can fit anything you may be carrying; pens, phones or even golf tees. This ultra col, stylish tee comes in five champion colours; Blacktop, Blue Ribbon, Diesel Grey, Piston Purple and Teal Spark. This colour range gives the tee great versatility. We concentrate on giving you the best most comfortable fit possible. We achieve this by making our polo a super light 5-ounce, 100% poly tricot with stay-cool wicking technology which means even on the hottest of days you can always stay cool, calm and collected. There is an OGIO heat transfer label for tag-free comfort, self-fabric collar, contrast colour placket and collar stand which is eye catching and professional looking, 3-snap placket with 2 hidden snaps, Front pockets with contrast colour under flaps and O debossed metal snaps, set-in, open hem sleeves and a woven OGIO badge on left sleeve so everybody knows you are a champion wearing champion clothing. The classic polo style looks great on every man, no matter the size as there is such a variety. Adult sizes go from XS, S, M, L, XL, 2XL, 3XL and 4XL.